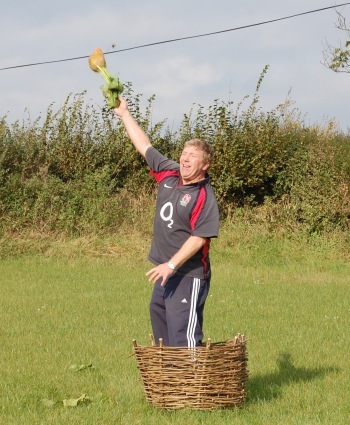 October is the busiest month in the mangold hurling calendar. 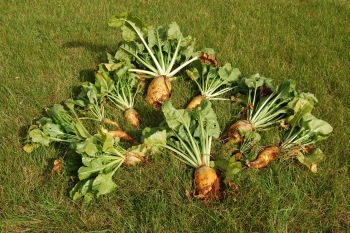 The mangolds grow rapidly during September, so that when October comes they are ready for harvesting. On the right you can see a selection of this year’s mangolds from the Association’s patch, laid out in an attractive and artistic fashion. There is a wide range of sizes, including little ones for the kiddies. 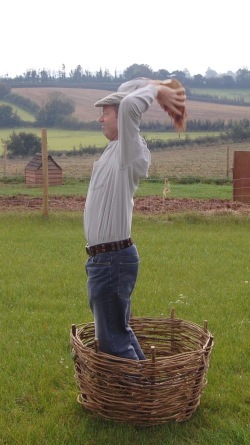 Right: Placing the Norman while at the same time trying out the Mangold Hurling Association’s new pitching basket. Its special features include pointy bits on the bottom which stick into the ground to provide extra stability. 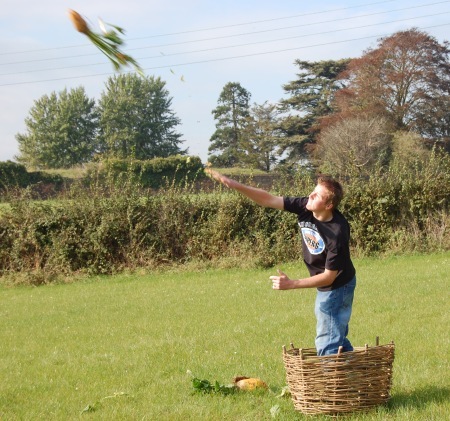 Despite this technical innovation, the basket has been hand-made in the traditional way using local materials. Left: The Association’s ace staff photographer risked his life to take this exciting action shot. Normally it is extremely inadvisable to stand in between the pitching basket and the Norman. Happily on this occasion he was not hit, but things could have turned out very differently. 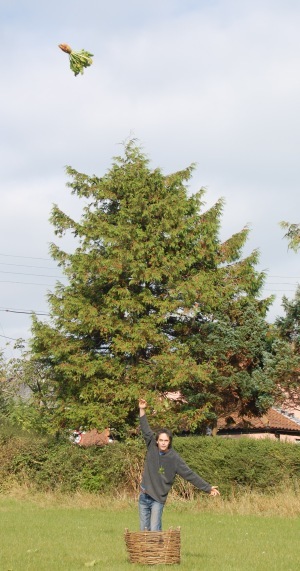 That’s a nice tree in the background, isn’t it? Right: It is hard to believe that this gentleman had never previously hurled a mangold wurzel. Some people just seem to be naturally gifted. Crikey, look at that one go! A streamlined mangold in the right hands can be a deadly missile. For tips on how to make your hurling as impressive as this, see our illustrated How to Hurl section.